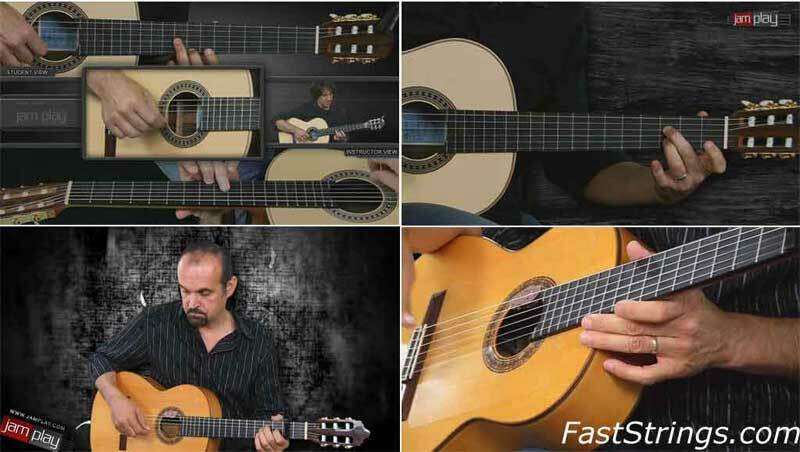 Guitar Lessons Genre: Flamenco & Spanish Guitar. Flamenco is a genre of Spanish music, song and dance from Andalusia, southern Spain, noted for its energetic and staccato style. It grew from Andalusian and Romani music and dance styles. The cante (singing), toque (guitar playing), baile (dance) and palmas (handclaps) are the principal facets of flamenco. Marcelo Berestovoy – internationally known Latino artist, composer and guitarist explores key Flamenco and Spanish rhythms and progressions. Marcelo breaks down these styles in a proven, easy to understand method. Marcelo covers 4 basic rhythms: The Gypsy Rumba Flamenca, the Bolero, the Southamerican 6/8, and the Brazilian Bossa. He offers a number of ways to apply these rhythms and also dives in to the beginnings of improvisation and melodic playing in the Flamenco and Spanish styles. Mario DaSilva helps to learn techniques and dance accompaniments associated with the Flamenco guitar.